I was wondering if there’s a right age or time to take my kid out for his first ride on my bike? First off, I’m glad you want to share this special moment with your kid. I remember rides on the back of my dad’s bike very fondly and riding with him is what has helped spark my love of motorcycles. It was also done with caution and consideration so that In a way, you are shaping potentially future riders so how you address it has a lot of importance. Whether your kid is ready to go or not depends on a few factors. Safety is paramount here, especially when you decide to take a tiny being with you for the ride. The first thing to look at is state regulations. While I haven’t found any law that specifically forbids children from riding as a passenger, in some places, usage is limited to streets with passengers under a certain age—no ripping it on the highway. Some of these laws also make it mandatory to have a proper passenger seat (duh). Once the legal stuff is out of the way, it really all comes down to two things: you and your kid. First off: does your kid want to go? Is this a case of your tiny human chewing your ear off about going for a ride or you wanting to introduce them to the sport? If it's more the latter than the former, I'd wait before putting him in the saddle. 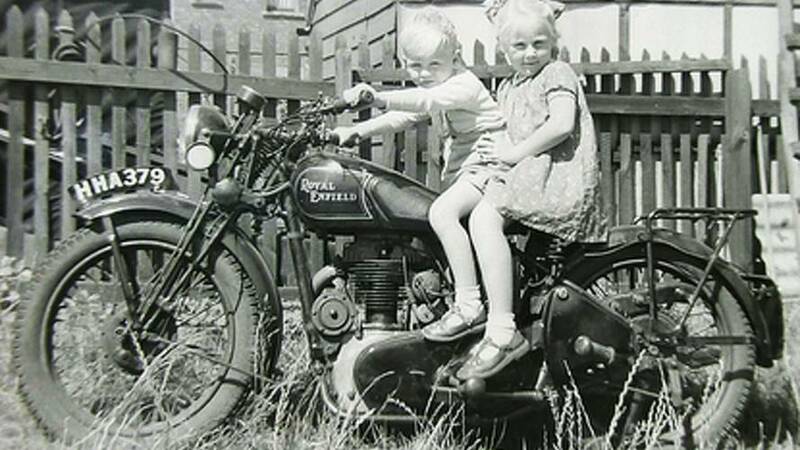 If the answer is the former, the rule in our house, that also seems to remain one of the standards still in use today, was that my sister and I had to be tall enough to reach the passenger footpegs. Obviously, that definition varies with the type of bike you have—the reach on a sportbike isn’t the same as on a cruiser. If your 5-year-old can reach the footpegs on your Gixxer, it doesn’t necessarily mean he's clear to go. Your kid should also be able to understand and follow a set of rules. Always hold on, don’t suddenly shift in your seat or lean in the curves, agree on a sign or action the kid should perform should a break be required, etc. There needs to be a speck of maturity in the way the child approaches the experience and understands the rules you set. Start slow. Get the kid used to the feel of the bike and give him a chance to master the rules you’ve dictated. Ride in your neighborhood or in a parking lot and test a variety of maneuvers at low speed so your little rookie understands what’s happening. Of course, having access to adapted safety gear is a must if you’re going to make this a regular thing, including a helmet that fits but also proper clothing (you know how we make fun of shorts and flip-flops here? It also applies to kids). Some parental-type readers have suggested looking at extra-small size helmets in unpopular colors that brands are letting go at ridiculously good prices (That's what I did -JM). Gear can be trickier to find, but quick research online should be enough to help you find what you need. When in doubt, motocross gear is a good option to consider and there's plenty of it available in kids sizes. It will also be up to you to respect your kid’s comfort zone—I’m stating the obvious here, but I’ve heard of first-time passengers having to hold on for dear life because the rider fired it with little to no consideration for the passenger—0-to-60s in 2.5 seconds and wheelies should obviously be off the table. Remember the drive back from the hospital after the kid was born? That's what riding with him in the saddle should be like. Ultimately, it is your responsibility to make this a safe and enjoyable experience for the two of you. If the kid is uncomfortable or scared, or if you are stressed about making the tiniest mistake, then maybe you should reconsider. If you both feel confident and excited about the new experience, are both safe and geared up, and take things slow, then rides with you could become some of your kid’s best childhood memories.